Passionate About Customer Service Because: Loyal and satisfied customers are the key ingredient to any successful business. When Not Working to Revolutionize the Help Desk Industry: Robert takes to the skies as an aerobatic pilot. Eric is a leader with a proven track record of assembling talented, passionate people, while building a culture of excellence that revolves around creating solutions that enable businesses to realize high value and achieve great success. Prior to co-founding TeamSupport, he held leadership roles in customer support for Avid Technology and Sundance Digital, with a focus on trust, confidence and success. Instrumental in providing a seamless integration during the Avid-Sundance acquisition, he helped paved the way for many years of continued success for both Avid, their customers and the Sundance Product/Team. Eric is a former US Marine, and spent most of his time reporting directly to the Camp Pendleton Base General and Chief of Staff, in charge of IT and assisting in public relations with the surrounding cities in Southern California. Passionate About Customer Service Because: When customers are happy, everyone is happy! When Not Working to Revolutionize the Help Desk Industry: Eric is exploring the great wide open with his family. Roger has spent much of his career developing and leading successful marketing teams with a special interest in the customer service industry. With deep experience in market positioning, branding, lead generation, and sales enablement, Roger brings the right ingredients required to execute a comprehensive marketing strategy. 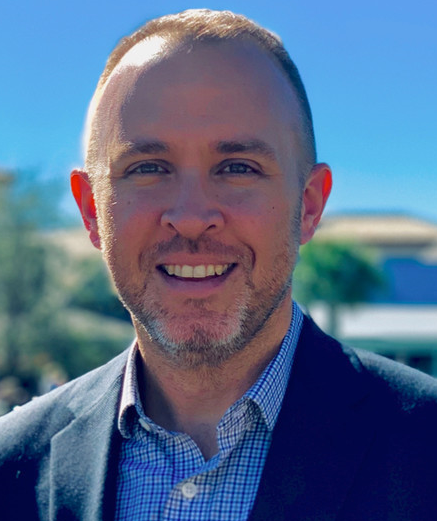 Prior to joining TeamSupport, Roger held several key marketing roles as the VP of Marketing for the Workforce Management Software Group and VP, Solutions Marketing and Market Intelligence at Verint Systems. He was also the Vice President and CMO at etalk Corporation. Throughout Roger’s career, he has worked with hundreds of customer support executives on optimizing their customer experiences. Passionate About Customer Service Because: Every customer engagement is an opportunity for your company to differentiate your brand from the competition. Make the most of it! When Not Working to Revolutionize the Help Desk Industry: Roger enjoys playing golf, paddle boarding, skiing, and spending time at our family house in Door Co. Wisconsin. Corbin is the Chief Financial Officer of TeamSupport, leading the company’s finance, accounting, human resources, contracting and compliance functions. Corbin has proven his strategic leadership capabilities in several software and software-enabled services companies, specializing in building and monetizing businesses, raising capital and M&A, and executive management. Prior to joining TeamSupport, Corbin held key leadership roles at several technology companies, most recently serving as CFO of Axiometrics, a real estate data analytics and software-as-a-service business that was sold to Realpage, Inc. and CFO of LPB Energy Management, an energy management software enabled services business that was sold to Ecova, Inc.
Corbin earned an MBA in finance from Columbia Business School in the City of New York and a Bachelor of Science degree in Economics with a concentration in Accounting from the Wharton School of the University of Pennsylvania. Passionate About Customer Service Because: It’s not enough to just have a great product – the best companies provide delightful experiences to their customers. It's about people helping people. When Not Working to Revolutionize the Help Desk Industry: Corbin enjoys traveling with his family, listening to music, and learning new things. Rahav is a hands on CTO who has enabled and led multiple companies through accelerated growth periods. His career demonstrates success in building effective software engineering teams, fostering an environment of innovation that provides professional development opportunities for engineers, and enabling business growth. Rahav typically joins companies at the time they require paradigm shift in software architecture and addresses product scalability and reliability. He also defines and streamlines how high-quality software is built and shipped. Prior to joining TeamSupport, Rahav was the CTO with Pieces Technologies where he led the development of Artificial Intelligence (AI) and Natural Language Processing (NLP) systems in medicine. He also held a leadership role at Global Velocity developing Data Loss Prevention (DLP) cloud systems. Rahav likes to build engineering organizations that are capable of taking projects from concept to launch. He specializes in implementing Design Thinking as well as mentoring engineering on technical matters. He believes cross-departmental work and active communication are an essential part of engineering. Rahav sees his role with TeamSupport as continuing to build on its advanced SaaS offering by being a mentor to engineers, infusing excitement and fresh energy into software development, and building an engineering team that accelerates business growth. Rahav is planning on defining the technology roadmap of the next three years, and then will deliver on the plan. He is also planning to introduce innovative technologies that will further establish the brand and product identity. Passionate About Customer Service Because: Customer service is essential in defining whether a company will soar or not. It's very much in line with my software development philosophy which I frequently remind engineers of: "It's not about the technology Alice, it's about offering a solution". When Not Working to Revolutionize the Help Desk Industry: I swim, I run, and I would love to hike but that would require moving the company during the summer. I'm an avid reader, a frequent visitor of great restaurants, and I love to see fun movies. Tracy is a Certified Human Resources professional who partners with leadership to deliver value added initiatives. Areas of expertise include enhanced culture, employee engagement, talent management, and operational efficiency within the software industry. She is a true business partner and change agent who advocates for the employer and the employee. Prior to joining TeamSupport, Tracy has held multiple positions in Human Resources. She led performance management, workforce planning, leadership development, team building, coaching, and regulatory compliance initiatives for a global healthcare organization. Passionate About Customer Service Because: Tracy believes that if organizations make customers happy and satisfied, they will not only remain loyal, they will actually promote the brand. When Not Working to Revolutionize the Help Desk Industry: Tracy loves to go camping and skiing with her immediate and extended families.